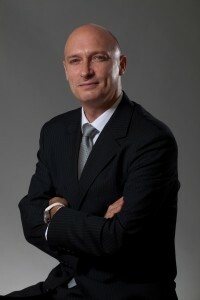 Borealis, a leading provider of innovative solutions in the fields of polyolefins, base chemicals and fertilizers, announces the appointment of Gilles Rochas as Vice President Application Segment Energy & Infrastructure as of July 1, 2013. Gilles Rochas replaces Marc Hubert, who is leaving Borealis to pursue other career opportunities. With over 20 years experience in the polymer industry, Gilles Rochas returns to Vienna from Singapore, where he has been Vice President for Sales in the Southeast Asia (SEA), Australia and New Zealand (ANZ) regions at Borouge since 2012. Borouge is the joint venture between Borealis and the Abu Dhabi National Oil Company (ADNOC). Prior to that, Rochas, a French national, had been Vice President for Film & Moulding in Borouge since 2008 and had previously held numerous Vienna-based senior positions within Borealis, including Vice President for Moulding and Vice President for Commercial Services. Rochas holds a degree in Engineering from the University of Troyes, France.